Welcome to our blog, written for locums, by locums. Keep up to date and learn something new with our regular articles. Today, PCSE launched a new online form for GP payments, pension administration & queries. What is the online form for? The online form will replace the current email method of sending forms and raising queries. Postal submission of forms will remain unaffected. You can no longer email your pension forms or queries to gp-payments@nhs.net or pcse.gp-pensions@nhs.net. 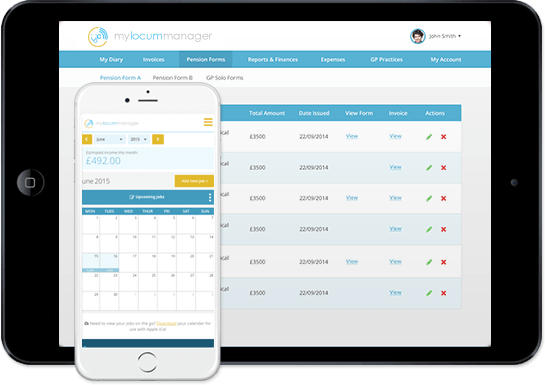 You can save your Form B on MyLocumManager and upload it as an attachment. Your form A’s can be scanned and uploaded. We are launching our online pension pack soon so that your forms A’s and B’s can be uploaded together – watch this space!